Touch Life Global claims to be a ‘non- governmental organization register(ed) and established in Nigeria‘. As to who specifically owns and runs Touch Life Global, the company fails to provide that information. The Touch Life Global website domain (“touchlifeglobal.org”) was privately registered on July 28th, 2018. The African link seems to check out, with Alexa citing Ghana as the primary source of traffic to the Touch Life Global website (75%). 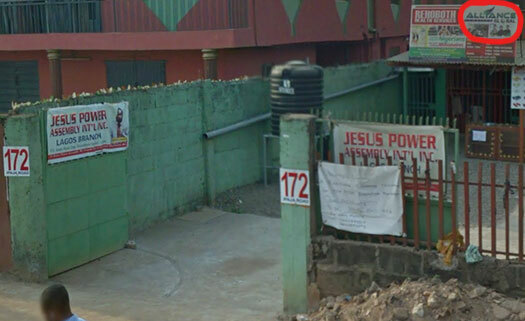 Interestingly enough, when I punched in the provided Nigeria address on the Touch Life Global website into Google, I was taken to a shed that had Alliance in Motion marketing on it. As of January 2017 (the map date), it appears whoever is running Touch Life Global is/was an Alliance in Motion Global affiliate. Oh and Touch Life Global might also be “Jesus Powered”. Touch Life Global has no retailable products or services, with affiliates only able to market Touch Life Global affiliate membership itself. At the time of publication the Nigerian compensation plan link on the Touch Life Global website is broken. The below is analysis of the provided “South African” compensation plan. It contains NGN equivalents, so one can safely assume Touch Life Global uses the same compensation plan in the countries they operate in. The only difference appears to be currency conversion. Note that in the below analysis, dollar amounts are presented in the South African Rand (ZAR). Touch Life Global affiliates purchase $21 positions in a seven-tier matrix cycler. 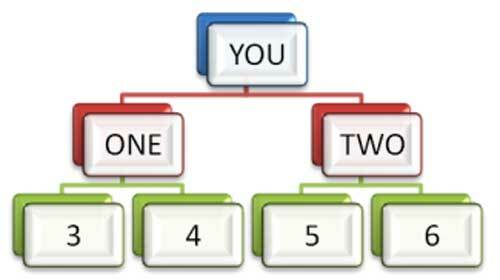 Matrix sized used in Touch Life Global’s cycler are 2×2 and 2×3. In total a 2×2 matrix houses six positions. A 2×3 matrix adds an additional level (8 positions), for a total of fourteen positions. Positions at each cycler tier are filled via recruitment of new Touch Life Global affiliates. “Cycle” commissions are paid when a matrix is filled, which also pushes the “cycling” position into a higher tier. Note that there are various goods featured in the Touch Life Global compensation plan between Stages 1 to 6. It is unclear whether these goods are actually awarded to Touch Life Global affiliates and if so, how. Touch Life Global affiliates receive a 10% Matching Bonus when personally recruited affiliates cycle out of Stages 2 to 6. 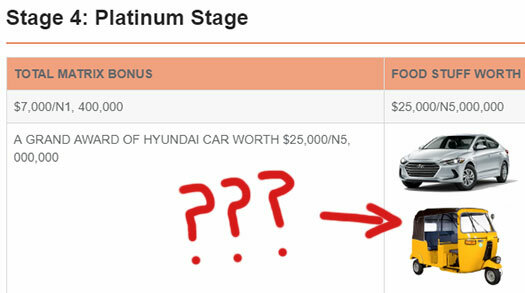 If an affiliate themselves cycles out of Stage 4, their Matching Bonus rate is increased to 20%. Touch Life Global affiliates who have cycled out of at least six Stage 6 matrices qualify for the Yearly Global Bonus. What the Yearly Global Bonus consists of is not clarified in Touch Life Global’s compensation plan. Touch Life Global affiliate membership is tied to a $21 matrix cycler position purchase. Beneath the “committed to improving the lives and standard of living of all its members” vision statement, Touch Life Global functions the same as any other matrix cycler. Affiliates buy-in, recruit others and over time get paid to recruit. The anonymous admin(s) withdraw most of the money, by way of having one or more preloaded positions that cycle and recycle Stage 6 – which is where most of the money is funneled up to. Once recruitment dies the cycler matrices stall. Once enough matrices within the company have stalled, an irreversible collapse is triggered. Then in addition to admin position earnings, Touch Life Global’s admin(s) also keep funds attached to uncycled positions. The long and the short of a matrix cycler is those that recruit will earn. Those that don’t or can’t (which inevitably winds up being the majority of participants), lose money.